Former UKIP leader says US money 'flooding into Europe in huge way' for years, campaign for second Brexit referendum Soros-funded. 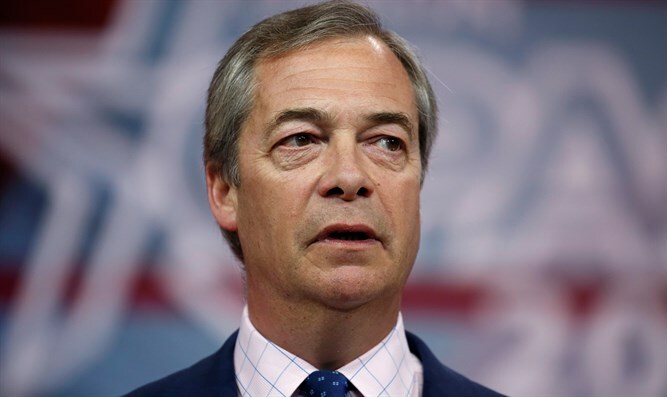 Former UK Independence Party leader Nigel Farage said on an interview with the BBC that American money has been "flooding into Europe in a huge way" for years, and that the campaign for a second Brexit referendum is funded by billionaire social demolitionist George Soros, "who has been a US citizen for many, many decades". According to a report by The Guardian, Soros, who has backed leftist candidates and causes both in the US and abroad, has given more than $562,000 to the Best for Britain campaign that aims to negate the results of the Brexit referendum and maintain Britain’s membership in the EU.